In the past year we've had Buy-a-Book weekends and a Cash Mob to help save St. Mark's Bookshop, and collectively we have succeeded in giving them a boost. But as you may have heard, the rent is just too damn high, and the owners of the bookshop have decided to move. 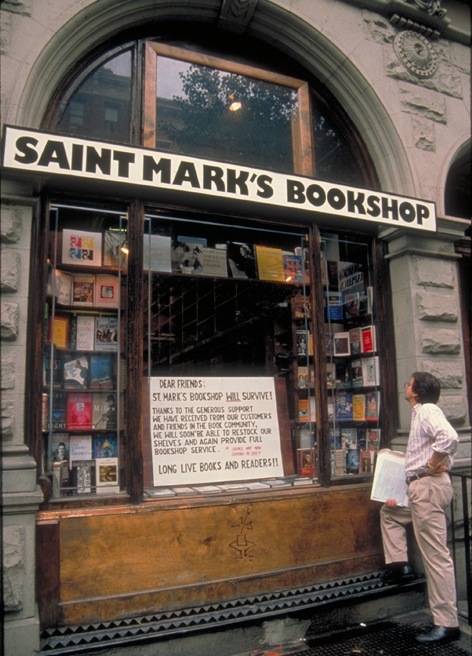 Let's support their decision, and help keep them in the East Village, with the biggest St. Mark's Cash Mob yet--this Saturday at 3:00. Co-owner Terry McCoy reached out for our help. He says, "We're in the midst of some serious summer doldrums and could use a little lift....a shot in the arm." Let's give them that lift as they work hard to find a new place and stay in the neighborhood. Says Terry, "A smaller space in the East Village with a much reduced rent would allow us to continue to be basically the kind of store we are and still survive." To help get your asses in the shop, we've devised a little Cash Mob incentive. 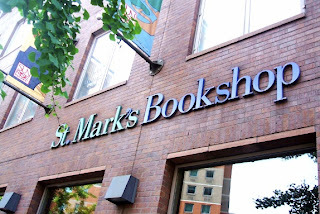 The first 20 people to spend $10 and say "Jeremiah sent me" will receive a $5 gift certificate toward their next visit to St. Mark's Bookshop. Goal: Spend money on books! Tell them "Jeremiah sent me" and if you're one of the first 20 people to spend $10, you get a $5 gift certificate for your next visit. 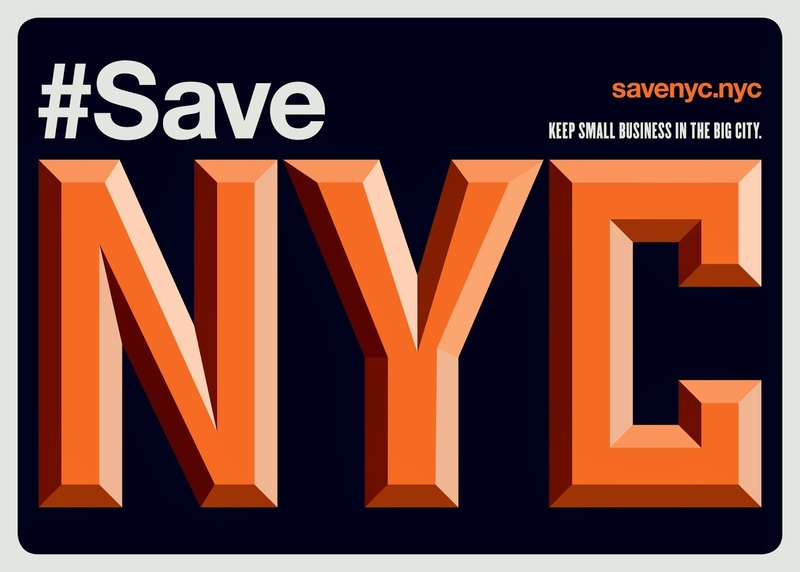 After the Mob: Head over to Bar 82 at 136 2nd Ave., between 8th and 9th, to drink and celebrate with your fellow cash-mobbers. Remember: In a time of soul-sucking stupidity, when the city has become overrun with zombies and chainstore-loving suburbanites, this bookstore is one of the (last?) reasons we have to love the East Village and New York City. Let's help them move and keep them nearby. Show up, spend money, and spread the word! Furthermore, it's my 5th birthday of doing this blog and I need a present. A big, fat mob showing up at St. Mark's on Saturday would be the best present ever. Thank you! I'll be there with bells, banners and cash. Can't someone out there get the press? i'm working on the press right now. we're getting some bites! I'll be there at 3PM! I hope a lot of people show up for this! Let's get Jeremiah his present! I just bought a book there last night! I am running the Pete's Mini Zine Fest on Saturday July 21 so I cannot go to the cash mob but I am a BIG supporter of St Mark's! St Marks Books has been a mainstay in my life since 1979, and I will continue to patronize this wonderful establishment for as long as their doors are open, wherever those doors may be. Thank you, Jeremiah. Love your blog. You are doing a great service for our city.